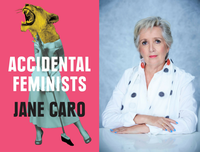 'This book hopes to contribute to that dialogue,' writes Sue Coffey. Sue Coffey explains why she put together Seeking Justice in Cambodia, a book containing interviews and accounts from fifteen contributors, as well as a foreword by Gareth Evans and a chapter by the current UN Reporter on Human Rights, Rhona Smith, telling a powerful tale of the struggle to bring human rights to all Cambodians from the early 1990s to the present day. 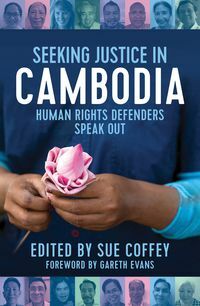 I decided to assemble this book after spending two years in Cambodia working for a human rights peak body, as an Australian Government volunteer, in 2012–14. During that time I was shocked by much of what I saw: people being evicted from their homes as land was handed by the government to wealthy developers; low transparency in government dealings; great poverty among many Cambodians; and the undermining of human rights on many fronts. The country was—and is—run by a wealthy elite who seemed less interested in helping ordinary Cambodians to improve their standards of living than in increasing their own wealth. I came to understand the extraordinary contributions being made by those individuals fighting for human rights for all Cambodians, from the days of the early 1990s to now. Their struggles have been long and dangerous; some are still leading the organisations they founded 25 years ago. I felt that unless their stories were told, they would be lost to posterity. As well as the original human rights defenders, it was important to include the younger generation, who are also fighting for human rights, and have continued this struggle to the present day. 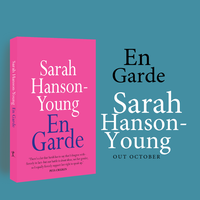 So the book contains 15 interviews with those engaged with this struggle, as well as a foreword by Gareth Evans, and a chapter by the current UN Reporter on Human Rights, Rhona Smith. The stories of these people are moving and extraordinary. They have struggled with great adversity, grown up under the Khmer Rouge, and suffered under the current Cambodian Government since its earliest days. 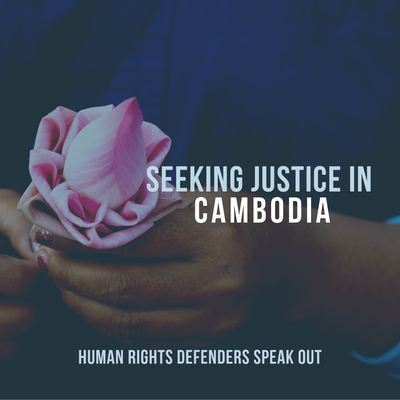 Their experiences have shaped their determination to turn their lives to fighting for human rights for all Cambodians. Cambodia’s Constitution endorses Cambodia as a liberal pluralist democracy, and enshrines a wide range of human rights. Yet it seems these are undermined on a daily basis. Why write the book now? When I began the book in 2017, Cambodia was moving towards its next general election in July 2018, which should have been contested by two major parties: the government’s Cambodian Peoples’ Party (CPP), led by Prime Minister Hun Sen; and the opposition Cambodia National Rescue Party (CNRP), led by Kem Sokha. The CNRP had almost won the 2013 election; indeed many observers felt that if the election had been genuinely free and fair, the opposition would have won. There was a very strong possibility that it would win the 2018 election. Many of the concerns of Cambodian voters related to issues of human rights and achieving a better standard of living. It was clear many did not feel these goals would be achieved with continuation of the current government. Hun Sen has been Prime Minister of Cambodia since 1985, and is now one of the longest-serving prime ministers in the world—over 33 years. He has stated his determination to lead Cambodia for another ten years, and believes his sons should take over the prime ministership from him in time. (From L—R, top—bottom row) Am Sam Ath, Tep Vanny, Chhith Sam Ath, Chak Sopheap, Pung Chhiv Kek (Dr Kek Galabru), HE Keo Remy, Ou Virak, Thun Saray, HE Kem Sokha, Koul Panha, Mam Sonando, Mark Chann Sitha, Benny Widyono, Rhona Smith, and Venerable Loun Sovath. His personal wealth is vast, yet he was originally a farmer’s son and a Khmer Rouge soldier. In 2017 it was estimated that over two thirds of Cambodians still live on $3 per day. In late 2017, Hun Sen introduced massive changes that would ensure his government would continue its rule. In September 2017 he arrested and jailed the opposition CNRP leader, Kem Sokha, charging him with treason; then in November he disbanded the opposition altogether. All CNRP-elected officials lost their seats, many fled into exile, and over a hundred senior officials were banned from politics for five years. Overnight, Cambodia became a one-party state and in the coming months the government undertook a major campaign of intimidation and fear to try and ensure the population voted at the impending sham election. Eventually, of course, the incumbent CPP government was returned for another five years’ rule. Cambodia is also ever-more reliant on China, which allowed Hun Sen to disregard the concerns the world expressed over the great changes occurring in Cambodian human rights. 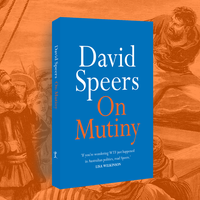 First planned for publication in March 2018, it became clear that this book could bring danger to the interviewees if published before the election. So I waited until after the election, when the interviewees encouraged me to make their stories public. They are keen that the world understands Cambodia’s ongoing struggle for human rights. The book places these personal stories in the context of the struggle for human rights that continues every day in Cambodia, in what is now a one- party state. The stories are diverse, and shed light on many different issues affecting the human rights of Cambodians. In terms of age distribution, Cambodia is a very young country, with some two thirds of the population aged under 35. It is home to the largest youth and adolescent population in the Southeast Asian region; the median age is 24 years. Yet the latest UN statistics show that 45% of Cambodians living in poverty are 19 or younger; 35% of Cambodians are living in poverty; and 40% of rural Cambodians live in multi-dimensional poverty. Why translate the book into Khmer language and make it available free? From the start of this enterprise, it was clear to me that the book should be translated into Khmer, and that it should be available free to Cambodians in their own language. As most Cambodians cannot afford Western-priced books, I simply resolved to ensure it was available free. Thus a free download in Khmer language is available on this website. 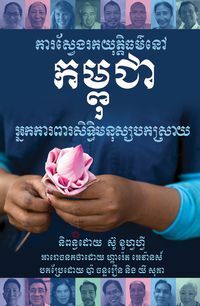 The stories in this book are very inspiring, and it is my hope that their availability in Khmer language will mean that young Cambodians have role models to look to in the struggle towards attainment of human rights. Cambodians need these stories to help them change their current circumstances for a better, brighter future. Why would I write this book? 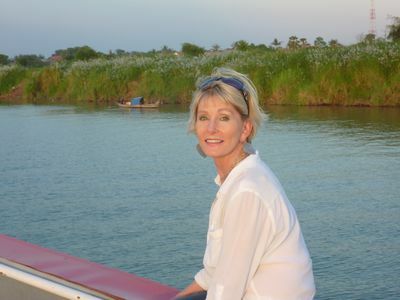 I have a long standing interest in human rights and overseas aid, and believed that in telling these stories I could bring to life for the world the struggles they have endured through so many years trying to build a better Cambodia for everyone. I have spent my professional life working in communications and strategy and have seen first hand the poverty and problems the majority of people in the world live with every day. As I came to know those involved in the struggle for human rights in Cambodia, and the issues they were fighting for, it seemed to me important to record those struggles for the world and for future generations of Cambodians to understand.